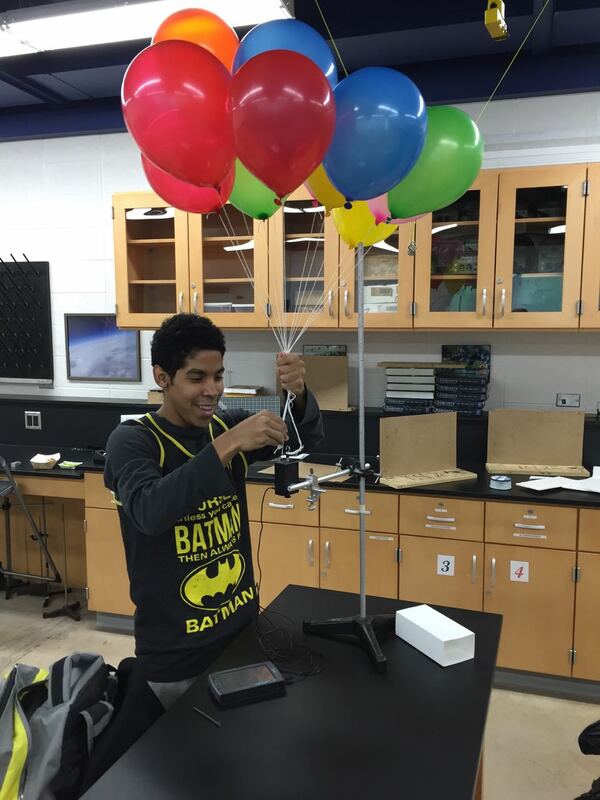 Today, I’m featuring one student who is calculating how many balloons would be required to lift a house as done in the movie Up!. We had some leftover helium from our recent high-altitutude balloon. I like his approach which starts with filling 13 balloons with helium and connecting them to a force sensor.